Can you do this maths test? 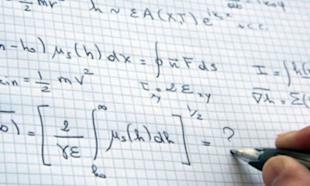 Some 17 million adults in England have basic maths skills that are no better than an 11-year-old’s, a new report suggests. But how would you compare? Brush up on your maths skills with the following sample questions from the Skills for Life survey. Q1. To clean a work surface, how much bleach is needed in half a litre of water? Q2. How much bleach do I need to use in 2 litres of water to bleach whites? Q3. The jacket potatoes and chicken joints have to be ready at 7.45 sharp. When should Mick start to prepare them? Chicken joints: five minutes to prepare, 35 minutes to cook. Jacket potatoes: 15 minutes to prepare. One and a quarter hours to cook. Q4. Four friends have joined a gym to lose weight and get fit. After one month they recorded their weight loss on a chart. How much weight have they lost between them?